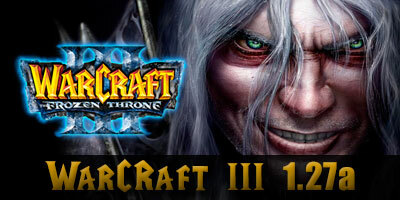 Release Warcraft 3 Patch 1.27a (1.27.0.52240) for warcraft III The Frozen Throne. – Download [Link 1] – 2.59 mb. – Download [Link 2] – 2.59 mb. – Download [Link 1] – 2.46 mb. – Download [Link 2] – 2.46 mb. 2.- Unable To Run Executable w3l.exe PvPGN loader. There was an error patching war3.exe (Unable to read memory). Make sure you are using version 1.22a-1.25b. Game may start, but most likely it can’t connect to server. Download the new PvPGN Loader for 1.27a and copy in your Warcraft III folder.